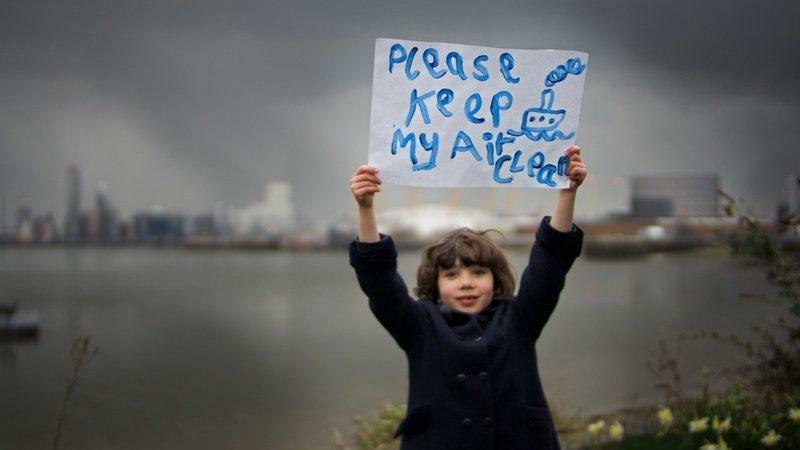 Local people from both sides of the Thames joined forces on Saturday to re-ignite the campaign against the plans for London City Cruise Port. 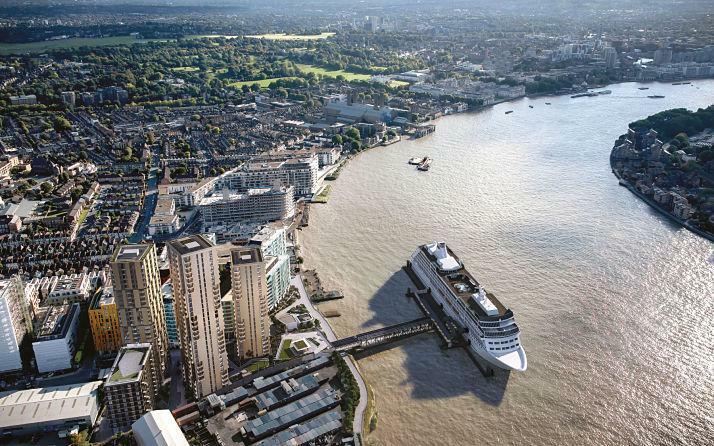 In 2015, Greenwich Council approved plans which will see cruise ships permanently running their diesel engines whilst docked at Enderby Wharf. Just one ship emits the same amount of toxic diesel fumes as 688 lorries. There are signs that developers have got cold feet amidst delays, making it all the more vital to increase pressure on the people behind the unpopular project. Residents have been campaigning against the plans over the past three years with the support of their local MP, Matthew Pennycook. Their key objection is that the ships will have free rein to burn 700 litres of unfiltered diesel fuel an hour in an area that already exceeds legal limits on air pollution. There are 12 schools within half a mile of the proposed site and thousands of homes including new riverside apartments. Campaigners say that the pollution problem could be solved if ships plugged in to a clean onshore power supply, as cruise ships can in other major cities including Los Angeles, New York and Amsterdam. Greenwich council maintains installing shore side power would be too complex and expensive, although it estimates the terminal could bring in £25 million per year. Campaigners have calculated the cost of the required infrastructure to be around £6 million, which they argue is a small price to pay for peoples’ health. Moreover, under UK law an alternative to burning diesel fuel in port will have to be found by 2025, making the port in its current form unusable. The terminal – which is expected to host 55 ship visits per year - will be paid for by the construction of 477 new homes, but as Ralph Hardwick, local campaigner, says: “Who would want to live in a flat right by a cruise port with ships belching out toxic fumes?” The land, owned by Morgan Stanley, is currently being marketed for £50 million by JLL. Barratt London, the main developer for the housing, has pulled out of the crucial second phase of development. Nevertheless, Daniel Hayes, Chair of local residents’ Group, EGRA, says: “Although the future of the cruise port is looking more precarious, the danger is still there. It doesn’t mean the end of the fight. We had a great turn out from the community this weekend and it shows that passions are still running high against the terminal.” Over the next few months campaigners will run events highlighting the cruise port issues. They continue their dialogue with the Mayor’s and Michael Gove’s offices and will ask to meet the Greenwich Council leadership after the local elections. A petition against the terminal which they are asking supporters to sign, has already reached over 4,500 signatures.